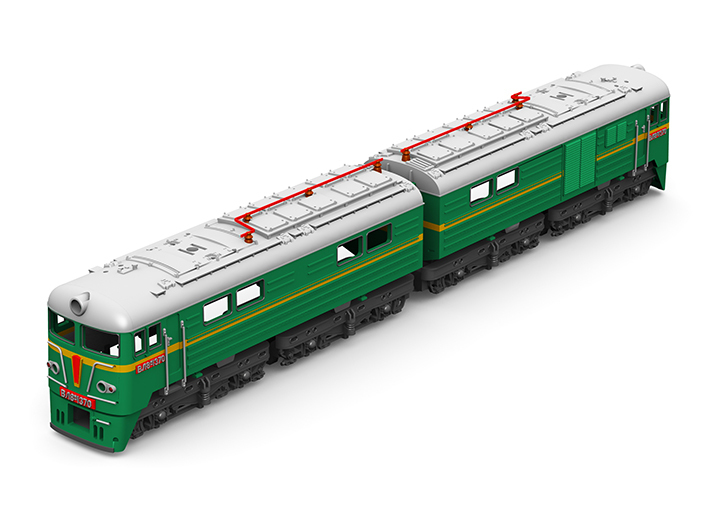 Ultra high detailed model of the Soviet Railways double-unit electric locomotive class VL8 in Z scale (1:220). Model is designed to use with chassis of Marklin Z E44 electric locomotives (Marklin art. no 8811, 8813, 8825, 88111, 88112, 88113). 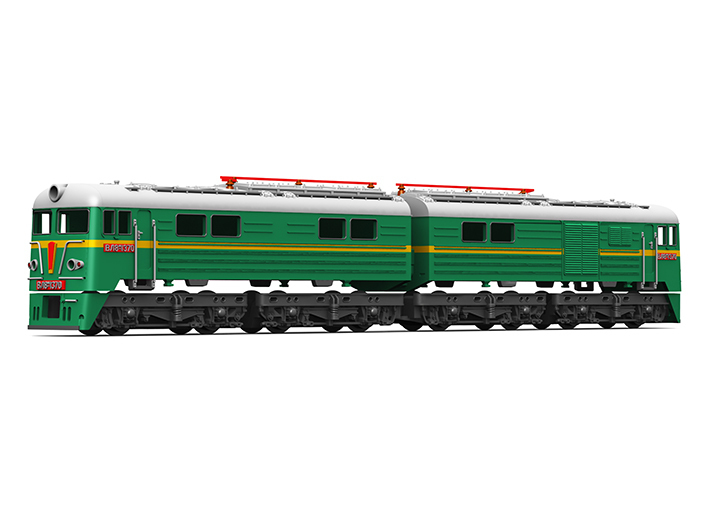 Two E44 locomotives needed to build complete VL8. Standard Marklin Z scale double-arm pantographs can be installed. 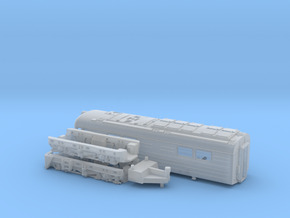 There are also holes in the roof around pantograph area for installing plastic imitations of pantograph framework (can be taken from most Marklin Z III-IV era electric locomotives ). Standard Z scale roof insulators can also be installed. Model comes with set of windows arranged in a cage. To make windows as clear as possible they should be polished and varnished. 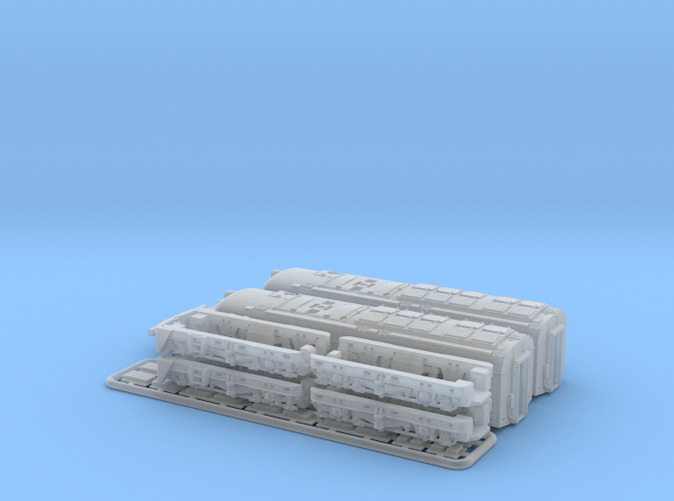 Ultra-short drawbars (3 pieces per unit, 6 pieces total) are located inside locomotive shells. 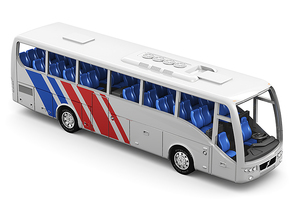 Model contains holes for installing of door and front railings which can be made from 0.3 mm metal wire. Model comes with front and rear light adapters which can be used in combination with lightboards from Marklin Z BR 218 diesel locomotives (Marklin art. no 88784, 88786, 88787, 88789, spare part no. E163372). Note: Door and front handles and railings, and also roof bar shown on 3D rendered previews aren't parts of the model; they shown just for demostration purposes.